The 5th IEEE Global Conference on Consumer Electronics (GCCE 2016) is an annual international conference sponsored by IEEE Consumer Electronics Society. This is a sister conference of the International Conference on Consumer Electronics (ICCE) in conjunction with CES in Las Vegas, USA. Carrying forward this successful momentum, GCCE 2016 will bring together top technical professionals from the consumers electronics industry and academia to exchange information and results of state-of-the-art work on systems, circuits, technologies, processes and applications. Attending GCCE 2016, researchers, system developers, and service providers will be able to share their ideas, designs, and experience in emerging technologies. Please join and experience the power of GCCE 2016! On behalf of the organization committee, we would like to thank you for attending IEEE GCCE 2016. We hope you enjoyed this conference. Also special thanks to the hard working volunteers who produced our conference and made it success! We have uploaded the photos of GCCE 2016 here. We hope you enjoy them! We are looking forward to seeing all of you at GCCE 2017! Membership development plays a key role in ensuring the future growth of IEEE and its members. We'll hold these events for the GCCE 2016 participant to carry on research activities actively. We offer a variety of events for following member stage. IEEE member recruit: Become an IEEE member today!. Here is a PDF file of this tutorial. Please download this. Networking Event: Let's talk about women around you or yourselves. We are planning to provide the following three courses for each day from Oct 12th to Oct 14th. It's first come first served. The number of participants will be limited. Oversea participants take higher priority. Please make a reservation on the registration desk the previous day joining a tour. 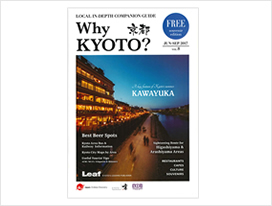 The Kyoto City Official Travel Guide is here. 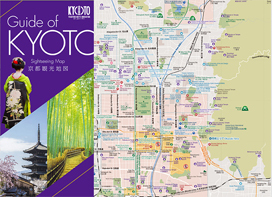 You can get the Kyoto Tourist Guidebook and the Sightseeing Map provided by Kyoto Convention & Visitors Bureau. Arukumachi KYOTO Route Planner, Bus and Train Veteran is an easy-to-use free search application offering information on available routes, timetables and fares for city buses and rail services in Kyoto City. Tentative coference program is here for your scheduling. Opportunities of On-site Job for Foreign University's Students! GCCE 2016 offers job opportunities for foreign university's students as our financial support. If you (who are a foreign university's student) want to get it, please let us know at the registration desk. Deadline of Final Paper Submission was Extended! The new deadline of Final Paper Submission is August 19, 2016 JST. The Registeration Site opened! Register now, and request visa if necessary! Visa issuance usually takes longer time. See here. Every accepted author must submit the final version of paper by August 12, 2016 JST. The Instructions for Authors is here. IEEE PDF eXpress is required to make your PDF file. The Conference ID of GCCE 2016 is "38816X". The notification of paper acceptance was mailed on 25th July. Some papers have been moved to another category against authors' preferences because of limited time and space of our conference venue. Please visit your paper information on EDAS and see Item "Category". Make an Entry of Submission Now! Make your entry on EDAS Conference System by 1st June, then submit your paper before the submission deadline! For the entry guide, see here. Deadline has been extended! Check the new deadlines! Thank you very much for many proposals of Organized Sessions! GCCE 2016 will have 20 or more Organized Sessions. For the details, please see here. GCCE 2016 also welcomes contributions for 14 Regular Sessions as well as the Organized Sessions. IEEE GCCE 2016 welcomes Organized Session proposals. Fill the proposal form and be an organizer! IEEE GCCE 2016 covers everything about life electronics. Get the Call For Paper now! © Copyright 2011-2016 IEEE GCCE All rights reserved.